Paul Walker was an American actor best known for his performances in the Fast & Furious film series. Born on September 12, 1973, he started his career through guest appearances in various television shows like The Young and the Restless, and Touched by an Angel before gaining initial recognition through his roles in films like She’s All That and Varsity Blues. Following his initial success, Paul Walker gained wider international success during 2001 when he played the role of Brian O’Conner in the hit film The Fast and the Furious. After it, Paul not only starred in sequels of the film but also appeared in a number of more movies such as Joy Ride, Takers, Into the Blue, Hours and Brick Mansions. The fans of Paul Walker were left in shock worldwide when the news of actor’s sudden death in a car accident made media headlines on November 30, 2013. Paul along with his friend Roger Rodas died on the spot when their Porsche Carrera GT crashed into a concrete lamppost and two trees on Hercules Street. When it comes to the personal life of the actor, Paul Walker had one daughter with then-girlfriend Rebecca McBrain and was reportedly dating Jasmine Pilchard-Gosnell at the time of his death. Given below are complete details about actor Paul Walker body measurements including his height, weight, chest, biceps, waist, and shoe size. He held a brown belt in Jiu-Jitsu. The actor was oldest among his siblings. Paul Walker died in 2013 in a car accident. 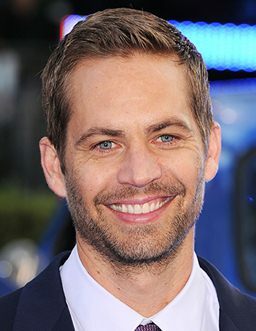 Paul is best known for his role as Brian O’Conner in the hit The Fast and The Furious film series.